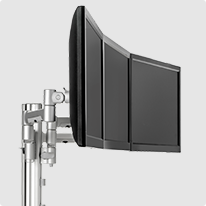 The AWMS-2-D13 is a combination of two monitor arms attached to a 135mm post. Its spring-assisted design with three points of articulation and landscape to portrait rotation enables effortless adjustment from a seated position and is the ideal solution for Activity-Based Workplaces. 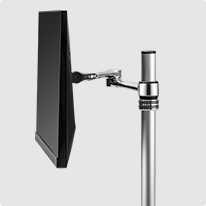 Generous upward tilt and arm reach make it an ideal support for the touch screen displays and sit/stand working environments. The arm incorporates a spring tension visual gauge indicator to save time and effort with multiple installations. The flexibility extends to the choice of desk fixing options (not included). Built from lightweight and yet durable aluminium, the mount can be easily recycled at the end of its life. 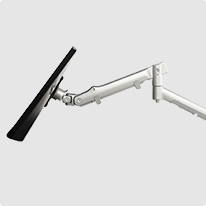 Ideal for: The spring assisted display arm can be installed in any of the four channels of the 135mm post. 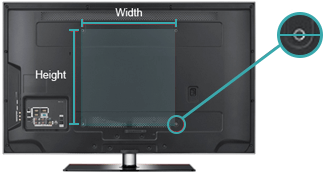 Spring-assisted arms provide the ultimate in ergonomic support and allow the display to be adjusted effortlessly from a seated position. Perfect for Activity Based Workplaces and Shared Environments.